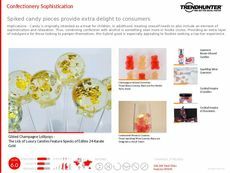 Find Better Ideas, Faster ® with a custom confectionery trend report, our PRO Dashboard and 80+ categories of premium trend reports. 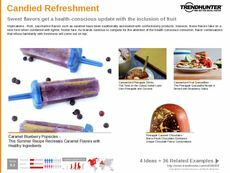 The Confectionery trend report covers many sub-heads with unique ideas seen in flavor reversal initiatives, frozen packaging and to-go edibles. 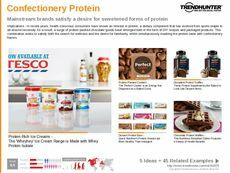 Whether a curious foodie looking to break into an emerging dessert market or a high end patisserie chef, documented trends from behemoth brands like Krispy Kreme, Nestle and Oreo will serve as indicators of what's in and what's to come. 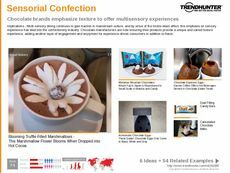 The Confectionery report will spark new ideas among chefs, flavor innovators, grocers, fast casual restaurateurs, snack brands and marketing teams. Intertwined trends such as flavor fusion and remixed savory will also entice professionals in adjacent fields such as family dining. 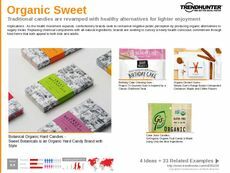 The Confectionery report will give way to fresh perspectives through ideas that dive into alternative food formats, unusual flavors and innovative packaging. 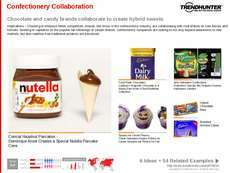 The takeaways are especially relevant to food and beverage marketing, branding and ideation.